Want to install the game? Look no further than this handy guide! Step 1: Create an itch.io account! To avoid losing your download details, create an itch.io account right after purchasing the game! It makes everything super easy. If you don't have the page shown below open, find the email you got when you bought the game and click the link. Click Create an account and follow the steps. Letting the itch.io app manage your installation is the recommended way to install the game. After the app is installed, log in with the account you created above. Click Library in the menu to the left. This shows you all your games! Clone Drone in the Danger Zone should be there. Click Install. Alternative: Download the zip file. 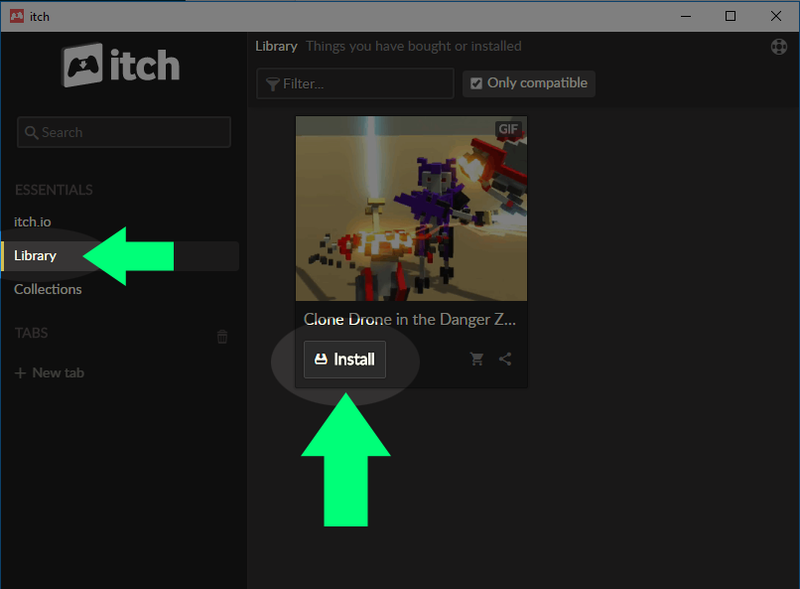 Itch offers many installation options, and one of them is to simply download the zip file of the game. No account needed. If you don't enjoy interacting with zip files, you'll probably have an easier time installing the itch.io app. See above. Download the zip file that's appropriate for your operating system. Choose an installation location of your choice. Run the a game from the folder you extracted it to! Tip: Did you notice that the two screenshots above are very similar? The first time you double click a zip file you open it up to explore its contents, but everything is still inside the zip file! To actually get it out of there you have to select Extract All. Troubleshooting: My anti-virus program issues a warning! If it says something along the lines of from an unknown developer and could be harmful it's just being cautious. If it says VIRUS DETECTED! or something along those lines, contact us immediately. Either install it on a better computer, or contact us to receive a refund. This means you're either trying to run the game from within the zip file, or only extracted the .exe file when you downloaded the game. Try reinstalling it (see steps above). Feel free to reply with problems about your installation, but post about other problems in the bugs forum. I had previously bought clone drone but I didn't install the itch.io game runner program thing. 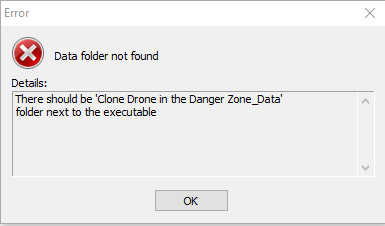 This meant that when I downloaded the runner, clone drone did not show up in my library. If someone could please let me know how I can fix this. Why im dont recive steam game key? where to clam it? hmmm, did you buy the game or get a key somehow? 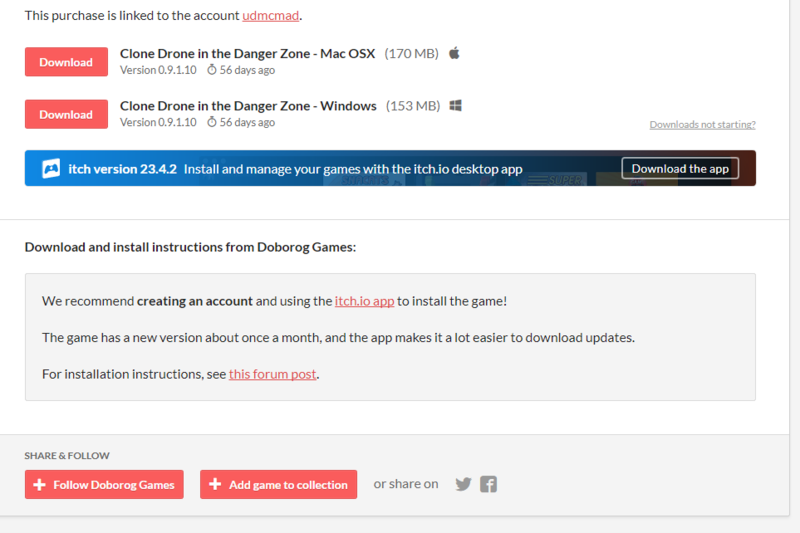 Feel free to email support@doborog.com and we can look into it more closely!